© Sandy Storm. All rights reserved. The early cow gets the grass! This was taken at 6:15 in the morning in Snohomish, Washington. 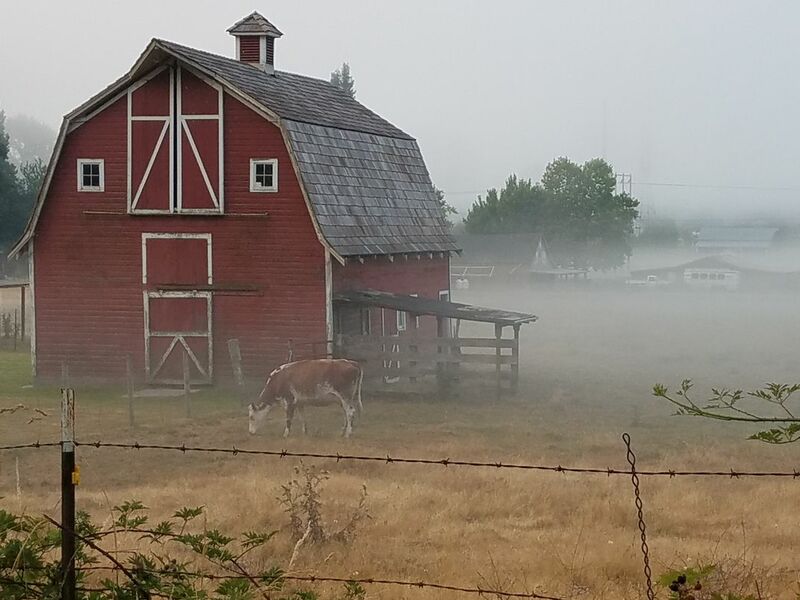 The fog rolls in from the Snohomish river and blankets the land. I waited for days hoping for this cow to pose for me and on this day...the shot was perfect! Date Uploaded: Oct. 9, 2017, 11:47 p.m.